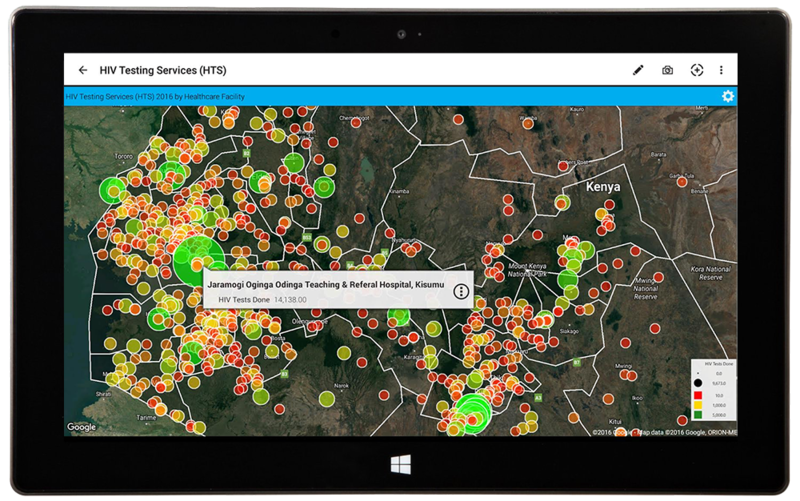 Kenya HIV Situation Room centralizes HIV data to ensure more effective and precise programming and reach more people with life-saving services. 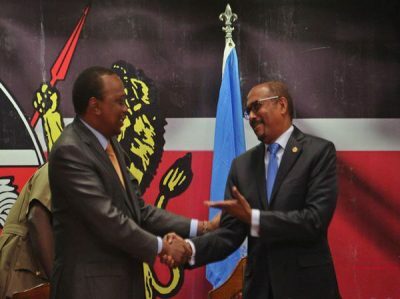 The President of Kenya, Uhuru Kenyatta, and the Executive Director of UNAIDS, Michel Sidibé, have launched an innovative new tool to track progress and identify gaps in HIV programming in Kenya. 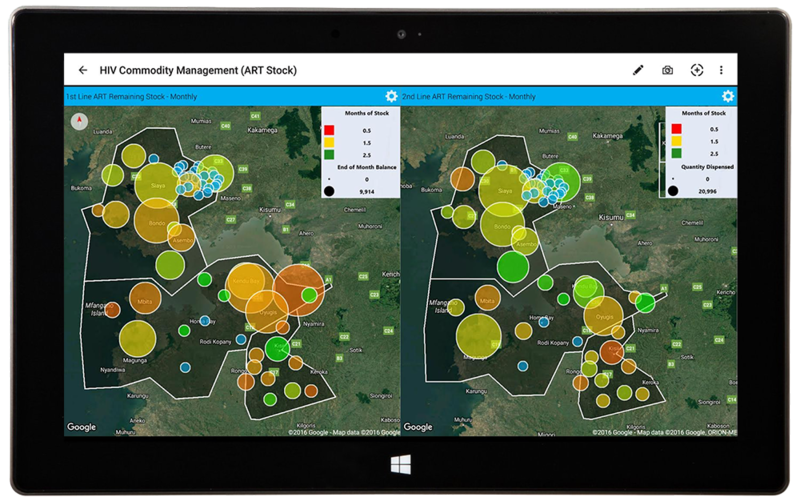 The Kenya HIV Situation Room brings together logistics and service delivery data to produce a more comprehensive picture and understanding of Kenya’s epidemic. The Kenya HIV Situation Room will enable quick feedback on results at the county and community levels and identify any bottlenecks and access issues. Its aim is to speed up and streamline communications between policy-makers and implementers and to help Kenya stay on track to reach its national health targets and improve the lives of people living with and affected by HIV across the country. “As we all know what gets measured gets done,” said President Kenyatta, “I am pleased that today the Internet based dashboard, the Kenya HIV Situation Room has been unveiled. The use of ICT is a priority for my government”. Latest data from the Kenya HIV Situation Room shows that Kenya is close to having 800 000 people on treatment. By adopting a people-centred approach to its response to ensure that no one is left behind, Kenya has been able to accelerate progress towards ending its AIDS epidemic. New HIV infections fell by 77% from 250 000 [220 000 – 290 000] from their peak in 1993 to 56 000 [47 000 – 67 000] in 2014. AIDS-related deaths were reduced by 74% from 130 000 [100 000 – 170 000] at the peak in 2003 to 33 000 [25 000 – 45 000] in 2014 as access to antiretroviral treatment was scaled up. In 2014, around 57% [50%-66%] of adults living with HIV in Kenya had access to the lifesaving medicines and 67% [59%-78%] of pregnant women living with HIV had access to medicine to prevent transmission of the virus to their child. This has resulted in a 74% decline in new HIV infections among children since the peak in 1994. The Kenya HIV Situation Room will enable AIDS programme staff to localize where efforts need to be intensified. This more accurate programming will help to ensure that mothers have access to HIV testing early on in their pregnancy, that children living with HIV have regular access to care and treatment and that antiretroviral medicines are replenished quickly should stock-outs occur. All information is measured by each facility and service delivery point and fed back to the Kenya HIV Situation Room. The information is anonymous to ensure that full confidentiality is maintained. The Government of Kenya and UNAIDS have worked together to bring four different data sets into one tool: data from the District Health Information System; information from the Kenya Medical Supply Agency; Kenya’s HIV estimates; and data from the National AIDS Control Council on programme implementers and service delivery. The Kenya HIV Situation Room, developed by the National AIDS Control Council and the Kenyan Ministry of Health in collaboration with UNAIDS, is supported by the Government of Japan, which contributed resources as part of its continued support to improving monitoring and evaluation of the global AIDS epidemic. During the event in Nairobi, President Kenyatta also reported progress made in reaching adolescents with HIV services and announced that Kenya would be launching a new Presidential campaign against stigma and discrimination. The campaign is designed to encourage young people to know their HIV status as part of the Kenya Fast-Track plan to reduce new HIV infections and increase access to treatment among adolescents and young people. The Joint United Nations Programme on HIV/AIDS (UNAIDS) leads and inspires the world to achieve its shared vision of zero new HIV infections, zero discrimination and zero AIDS-related deaths. UNAIDS unites the efforts of 11 UN organizations—UNHCR, UNICEF, WFP, UNDP, UNFPA, UNODC, UN Women, ILO, UNESCO, WHO and the World Bank—and works closely with global and national partners towards ending the AIDS epidemic by 2030 as part of the Sustainable Development Goals. Learn more at unaids.org and connect with us on Facebook, Twitter, Instagram and YouTube.